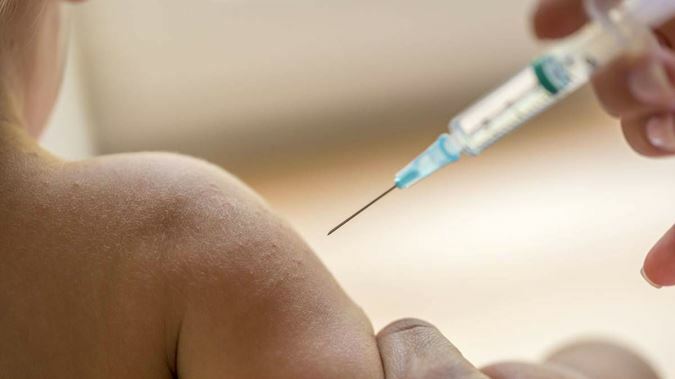 Samoa stops vaccinations after deaths of two children. The situation comes after two children, both aged 1, died minutes after receiving an MMR (measles, mumps and rubella) vaccination at Safotu Hospital, in Savaii, on Friday. Photo \ NZ Herald. Samoan health authorities have stopped all children's vaccinations in the island nation after the deaths of two toddlers. The youngsters have been identified as Lannacallystah Samuelu, daughter of Marietta and Samuelu Tuisuesue, and Lameko Siu, son of Punipuao and Timua Siu. News of the deaths began to spread over the weekend after family members posted photos of the dead children - one wrapped in the arms of his distraught mother - on Facebook. The public was officially informed by authorities yesterday, when Samoa's Ministry of Health chief, Dr Leausa Toleafoa Take Naseri, announced that all MMR vaccines in the country were to be seized after the deaths. The nurses who administered the vaccinations have also been stood down and were being supported, he told local media. In a statement, Malielegaoi described the incidents as "devastating" and said he was not taking this lightly. "And if so, rest assured those processes will be implemented to the letter - to ensure that such a tragedy will not be repeated and those responsible will be made to answer." Families of the youngsters told TV1 Samoa they had made formal complaints with local police and were calling for investigations into their children's deaths. "One is that there's been an error where the vaccine is prepared for the injection incorrectly and ultimately results in the wrong substance being injected. "Or there's been some sort of contamination due to the vaccine having been reconstituted and left at a room temperature for a really long period of time." "The last thing you want is for people to be fearful of something that we know is actually incredibly safe. "But right now, we have to try and understand what happened and then work out what can be done to ensure it doesn't happen again. "It's exceptionally rare at the global level and will be taken extremely seriously."